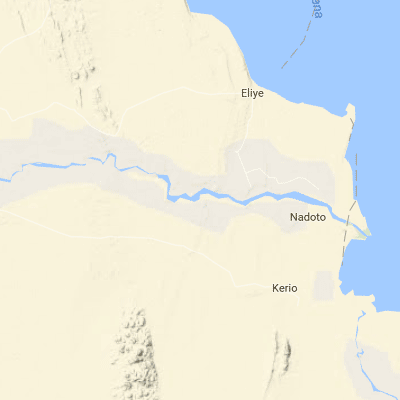 TBI-Turkwel is situated on the west side of Lake Turkana, near Nakechichok on the Turkwel River. Construction was started in April 2008. The mess, student accommodation and the first laboratory buildings were completed just in time for a conference held at TBI-Turkwel in August 2009. Subsequently, two buildings to accommodate staff, a large laboratory, six cottages for visiting senior scientists and a vehicle maintenance workshop were completed early in 2012. 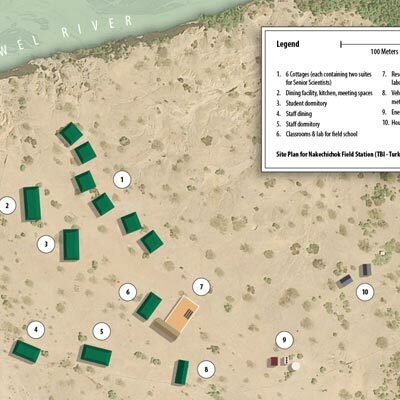 At full capacity, the camp can accommodate 60 to 70 people (including support staff), catering from two kitchens and two eating and recreational areas.